The unexpected closure of the Gardner Arts Centre at the University of Sussex just over one year ago was well-documented at the time but little has been announced since. I first visited the Gardner with my grandmother over fifteen years ago, long before I even thought about studying at Sussex. Sadly for me, I never went there during my time as a student even though films were often shown there during the evenings. There was much more there than cheap cinema though. The Gardner’s programme of contemporary theatre and dance along with its exhibitions of modern visual art were directed very much in the spirit of Brighton and were, ultimately, well respected. The University of Sussex was the first of a wave of seven universities that were founded during the 1960s around the country. It received its Royal Charter in 1961 and opened near Preston Park in temporary accommodation with just 52 students. The Gardner Arts Centre opened in 1969 following donations; including one from the late Dr Lyddon Gardner, a benefactor of the University in its earliest days and former Chairman and MD of Yardley, the royal perfumers and cosmetics giant. It consists of various circular and segmented sections, like a small brick Guggenheim Museum, and has a 480 seat purpose built theatre, a visual art gallery and studio space. It received its Grade II* Listed status in 1993. 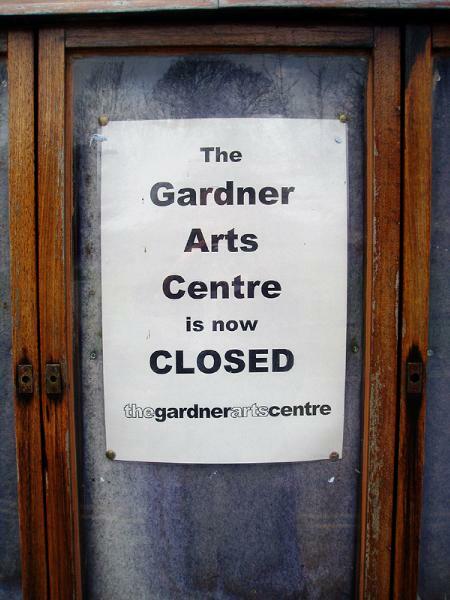 The Gardner faced unexpected closure for two reasons; not only was it discovered that the building itself required massive investment but it was also announced that funding was to be stopped by Brighton & Hove City Council. It was thought that at least £6 million would be required to replace wiring & plumbing, fix the leaking roof, install disabled access and meet various ‘health and safety’ requirements. 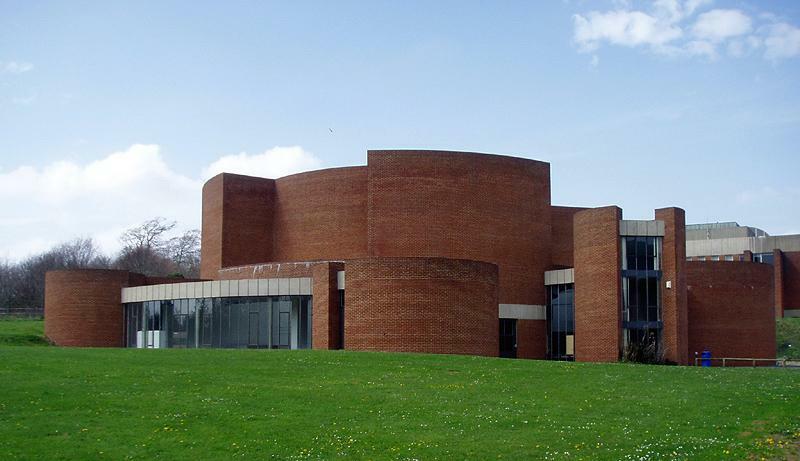 Although the University of Sussex owns the building, the Gardner’s operators, Gardner Arts Centre Ltd, would have been responsible for the work. I first started writing this piece when I heard that the Gardner Arts Centre was set to close but I decided to hold off for what I thought would be a month or two so that I could announce some good news. Sadly that moment never arrived. Although nothing concrete has yet been announced for the Gardner, the building is very much part of the long-term strategic development of the University, especially in teaching and research work in the performance arts.